Hallonstenarna, late Friday evening after work. 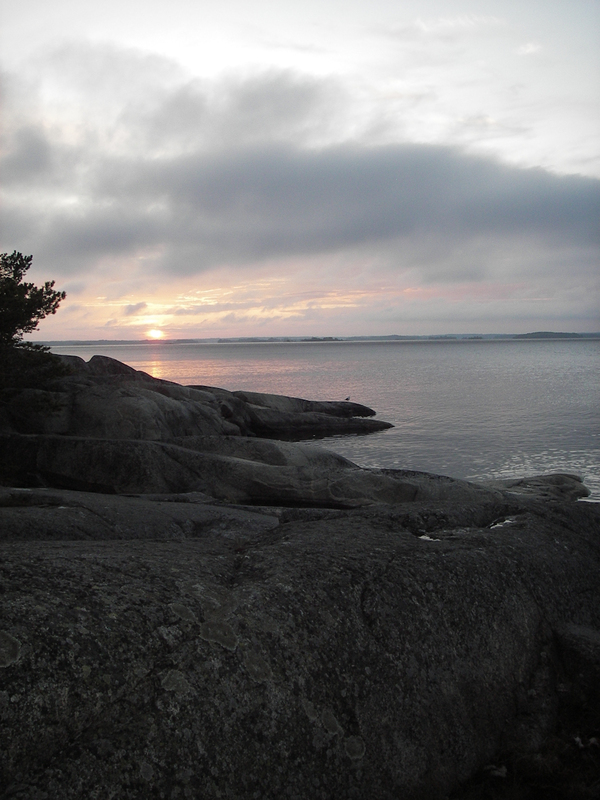 The first day of a weekend trip in the beautiful archipelago. The forecast was poor, the weather was pouring when we left the shore. Camp was raised in rain and some wind. Just when dinner was ready it all settled. The sunset was magnificent. The plan is to return next spring and spend another night there.